When people think of Key West, images spring to mind of brilliant sunsets, breathtaking crystal clear waters and beautiful sandy beaches. Many visitors are anxious to explore the Florida Keys' reef system and all of the wonders it holds. 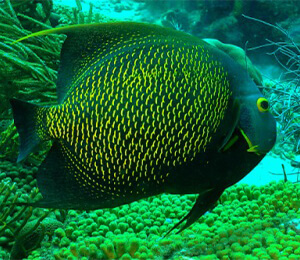 Key west snorkeling is one of the most popular ways to enjoy the reef and its wildlife. The coral reef that surround Key West stretch from the southern tip of Florida all the way to Dry Tortugas, covering a distance of approximately 170 miles. At its widest point, the Florida Reef is four miles wide. It is the third largest reef system in the world. Coral reef is created when microscopic live animals called coral polyps secrete limestone from their base. They create a hard skeleton, made of calcium carbonate, as well as a chamber called a andlsquo;cup' to protect themselves. The polyps hide in the protective cup whenever predators appear. Polyps tend to join together in groups called colonies, eventually forming the incredible reef systems that support hundreds of species of fish and other animals. Some of the animal life often seen around the coral reefs includes hundreds of colorful tropical fish, such as parrotfish and bright orange-striped clown fish. One startlingly beautiful but unwanted resident of the Key West Living Coral reef is the lionfish. Lionfish, with their distinctive markings and dangerous reputation, provide a thrill for scuba divers and snorkelers who encounter them during a visit to the reef. Lionfish have venomous spines that can provide a painful sting. Lionfish have proven to be an invasive species with no natural predators, eating prodigious amounts of fish. Lionfish did not exist in Key West until the 1990's when they escaped large aquariums damaged during hurricanes and were even intentionally released by hobby owners. Despite the venom in their spines, lionfish are edible, and there is an active campaign in Florida encouraging residents to catch them and eat them. Other visitors to the vicinity include green sea turtles, the second largest of the sea turtles. Green sea turtles are unfortunately considered to be an endangered species. Tranquil nurse sharks hover above the ocean floor, while large sting rays burrow in the sand in order to ambush their prey. Jellyfish, lobster, moray eel and sea horses also enjoy the warm shallow waters of the coral reef system. But it is just that quality, the shallow nature of the Key West coral reef, which also endangers the fragile ecosystem. The about the reef flourish in Key West because the water is shallow and warm, which is the ideal environment for polyps. This also allows snorkelers to get up close and personal with the sea life living in the shelter of the reef and to appreciate the varieties of coral that comprise the reefs. Unfortunately, with the reefs so close, it is easy for snorkelers to damage the reef without even realizing it. Although the coral appears to be strong and hardy, it is actually very delicate. A visitor who accidentally touches the coral with a hand or flipper can destroy literally hundreds of years' worth of growth. This is dangerous for the entire ecosystem of the Key West reef, as that damage multiplies exponentially when one considers how many visitors enter the waters off Key West every year: over 2 million, in fact. First, if you are doing a Key West snorkel, please don't touch the coral on purpose. The lightest touch can unintentionally destroy the miniature polyps and damage the coral. Second, be aware of where your fins are at all times. With all the beauty surrounding you as you snorkel through the clear water, it is easy to become so enthralled with the sea life that you may rush to the surface to discuss something with your snorkel buddy; it is at that moment, when you return to a vertical position, that your fins may accidentally brush the coral that is now underneath your feet. With all that the coral reefs have to offer, it is easy to see why over 2 million people take a trip to Key West each year. Key West snorkeling is a great way to see some of the most beautiful fish and sea life in the world, right there in their natural environment. Isn't it time you get your feet wet?